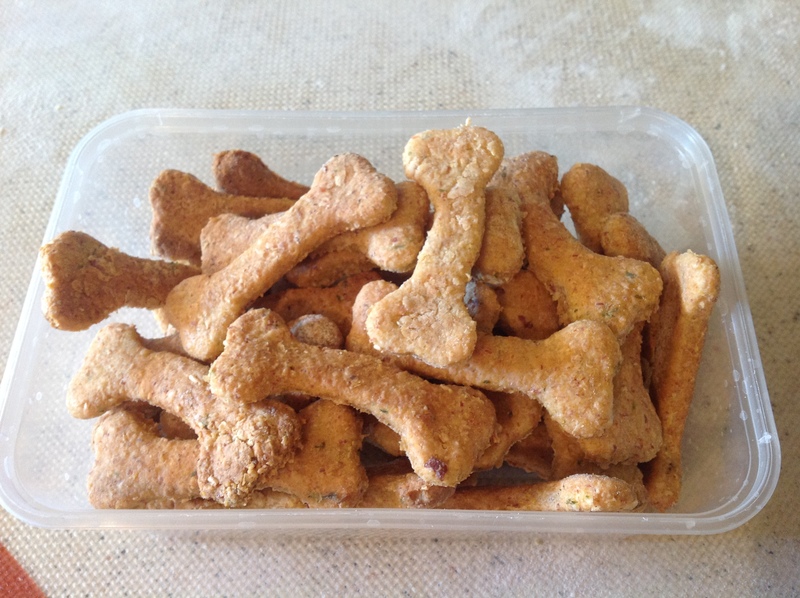 Anyway, I try and be careful not to eat too many preservatives and things myself and I already make my dogs wet food, so I thought I might try them on some home made treats. They love these treats. I’ve tried them myself, they are pretty good! There is nothing in them that humans can’t have, and though you wouldn’t want to feed your pet on these every day all day, as a treat they are a good option. For $50, It takes the work out of mixing, chopping and blending. I still use mine along side with my thermomix because its so compact and easy to clean. I chopped the oats and the bacon bits in the recipe with it. Turn oven to 150 degrees. If you have a food processor, blitz the oats, cheese and cooked meat until it resembles bread crumbs. Set aside. In a large bowl place 350g flour, 200g polenta and the cheese, oats and meat mixture. Make a well in the centre and add 50g oil, 300g water, 3 tbsp milk powder (or do 200g water, 100g milk) and 2 eggs. After ten minutes knead ten more times. If its a bit sticky add flour but you shouldn’t need to. 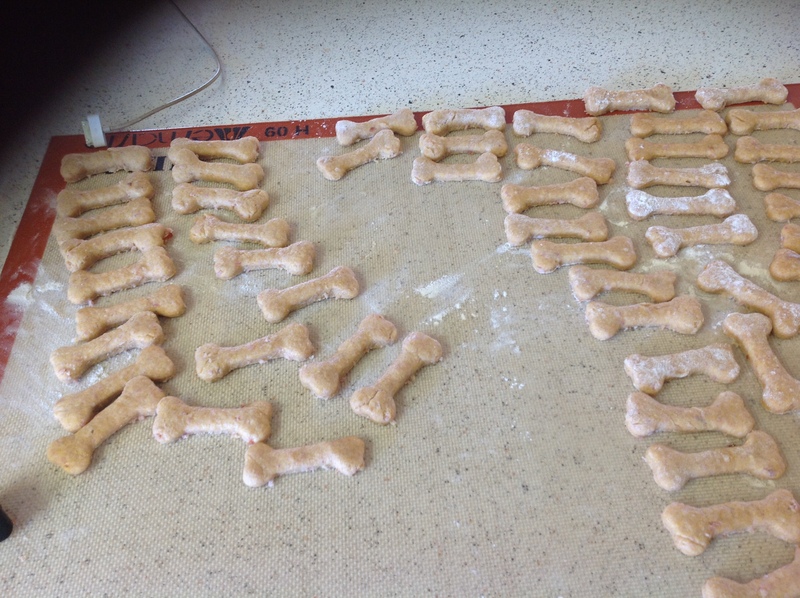 Roll out fairly thin, about 1/4cm as you want themse biscuits to dry out in the oven. 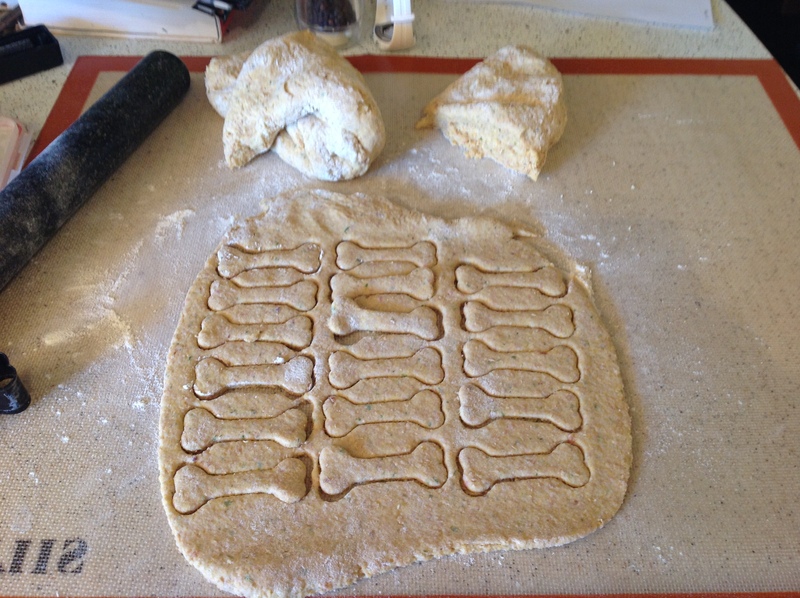 Cut into your desired shaped and lay on baking trays with or without baking paper. Bake in the oven for 60 to 70 minutes or until they are super crisp. Store in a container. I store mine in a non airtight dogs treats container and have never had them go mouldy or anything, they stay completely dry, but you must really dry them out by cooking for a long time in the oven. If you are concerned, store in the fridge.